Put bots under the microscope. Go deep. Then go even deeper. A real-time bot warning system. 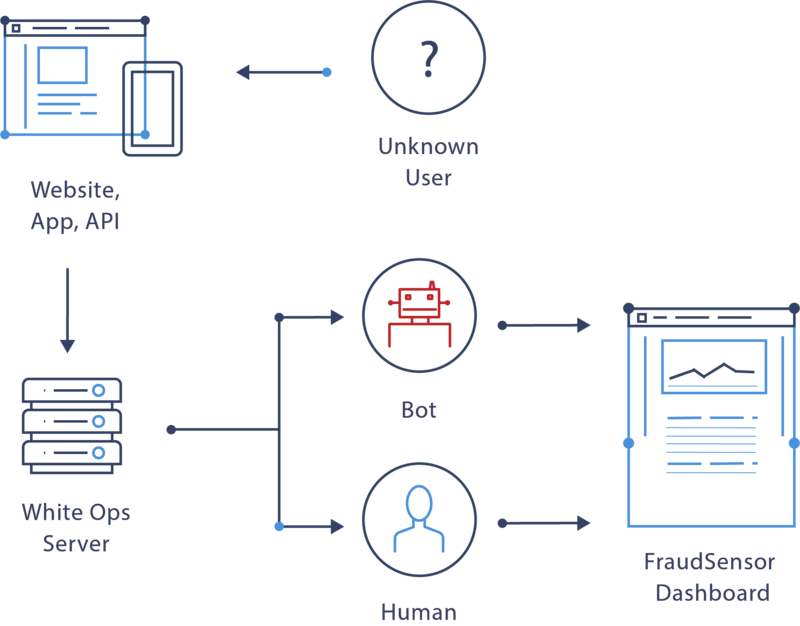 FraudSensor’s near real-time data exploration helps identify root sources of fraud in minutes. See a comprehensive time-series overview of the non-human traffic, and analyze log-level details for every individual decision, drilling down by a number of dimensions. Deploy in minutes. Fight bots for a lifetime. 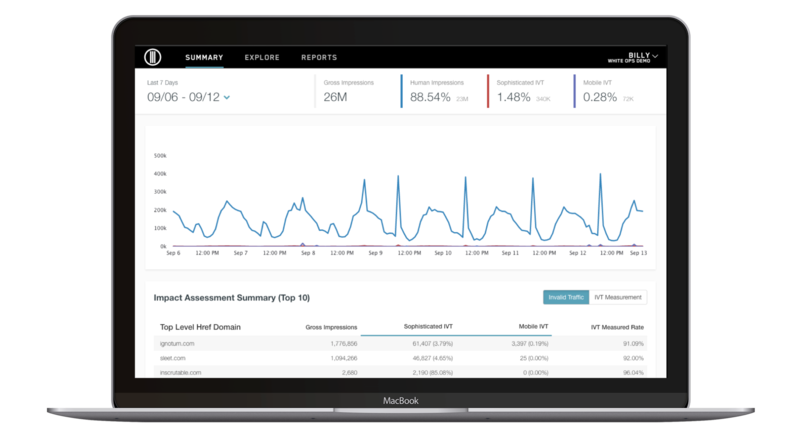 TLX provides detailed, event-level data so you can track every measured impression and export for further analysis or data integration. 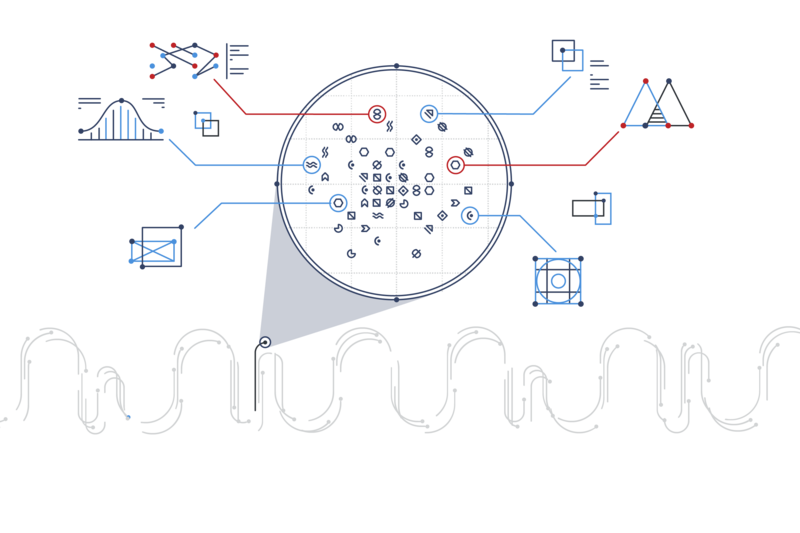 The White Ops customer success team will help with regular hotspot analysis, QBRs, and anti-targeting to ensure you are protected with proven best practices. We keep our system secure through best practices and regular penetration tests. We checked with some Fortune 500 companies and they agreed. Some reports are best checked regularly. 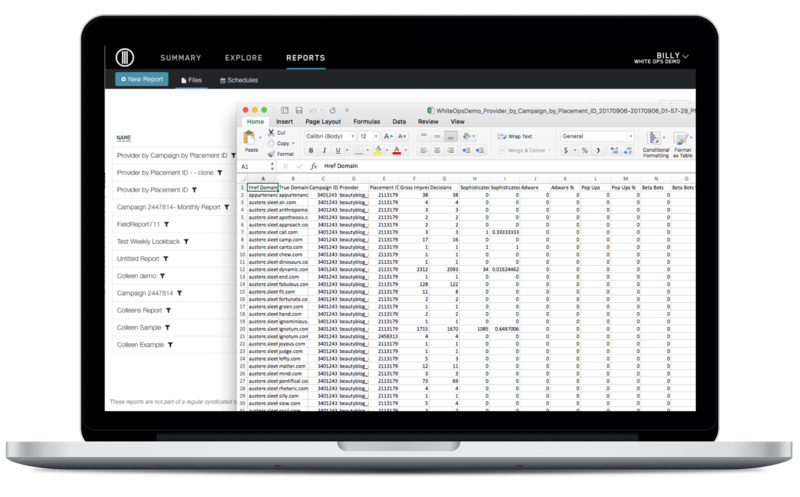 You can schedule recurring reports with White Ops and have them delivered to your inbox for easy access. Not sure where to begin? 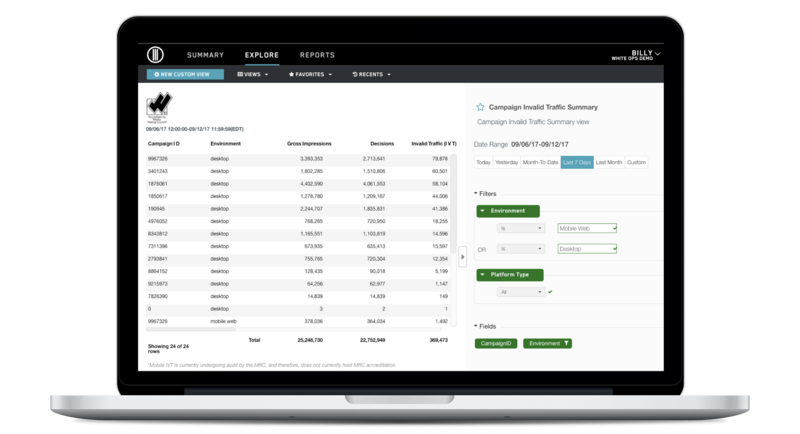 FraudSensor comes with recommended reports to help kick-start your fraud-fighting efforts and clean up your traffic. Keep all login credentials secure. White Ops leverages SSO technology so your team can securely login with existing credentials. We thought we could handle this situation ourselves at P&G...but when we did an audit with White Ops, we found that we’re not good enough. The criminals are far better than we will ever be. Want to learn more about our products? Have a quick question? Either way just share a little information and we'll be in touch soon.